And here comes the time for me to show my new acquisitions. 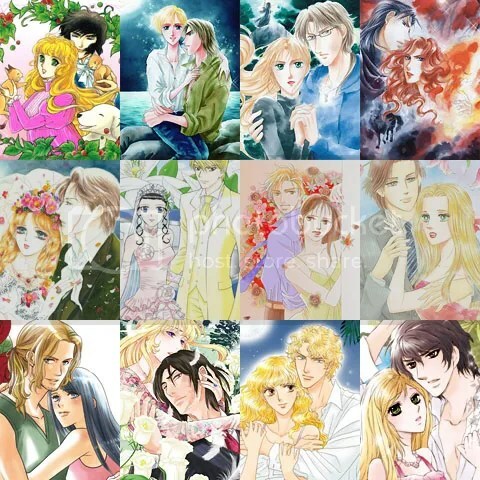 Information and samples for these mangas are compiled in my Harlequin & Romance comic raws collection. And as usual, if someone is interested in scanlating a story or more, listed at that page, you can submit a request for the raws HERE. 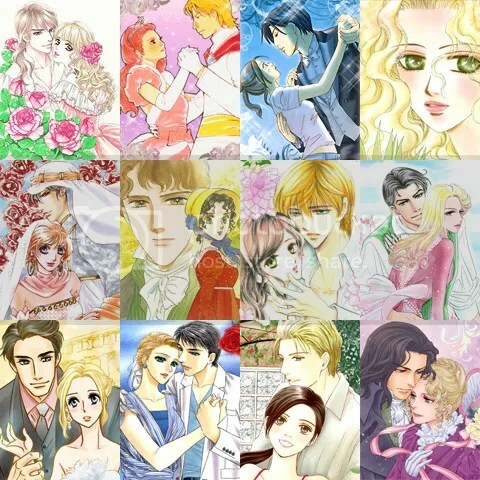 In this set, there are 2 mangas that have obvious flaws between what the plot is promising and what the artist draws. 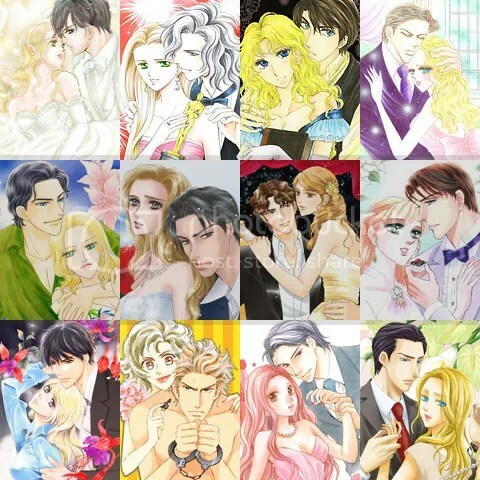 First is Narukami Yutta’s adaptation of Kept for the Sheikh’s Pleasure. Sensei has a questionable sense of Arabian fashion. I doubt the heroine can wander around an Arabian country as scantily dressed as she is most of the time. In private, I guess it is tolerated, preferably in the bedroom for the hero’s eyes only, but it’s not much plausible that she goes out like that. You wonder how come she’s not raped as soon as she sets a foot outside, or just arrested for public indecency. Narukami-sensei’s sense of Arabian male clothes is also questionable at times. The low-cut square collar doesn’t look much manly on a man. And towards the end, there are a few scenes where I had the impression sensei was confusing Arabian fashion with the ancient Greece. 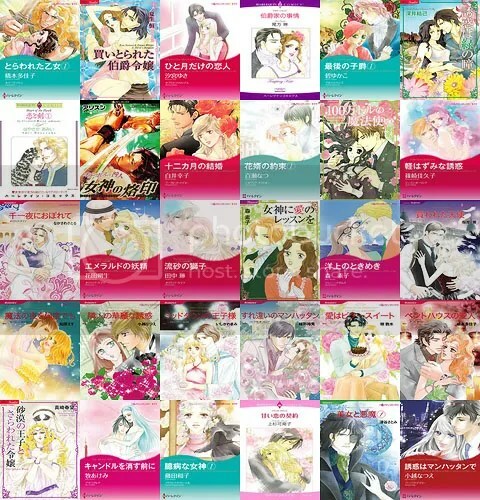 The other manga, Kasumi Mayu’s adaptation of A Whole Lot of Love, presents a major flaw to me. I’m frustrated in this case because the art style is pleasant and consistent, the story looks interesting, everything seems to be done nicely. But the synopsis says the heroine is a plus-size woman. Heck, the main appeal of the story is that the heroine is a “big” girl. But Kasumi-sensei’s design just delivers a normal figure heroine. You can’t even start to describe her as plump. She’s just an average lady, who looks tall, healthy on a rather lean side, and has a slim waist any girl would envy. So that’s hard to believe that a crowd could be laughing at the heroine for being a “fatty” when they aren’t that thinner than her. If only sensei had just drawn the heroine with say, at least 20 pounds more of excess weight, the story would have looked a little more realistic visually and the heroine would still be cute.